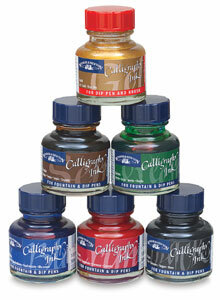 These rich color inks may come in a small package, but they perform beyond their size. Diluted in water, they keep their vibrant quality. Straight out of the bottle, they apply smooth and bright. Developed for your writing and calligraphy needs.